Listen up, owners! Think about your customer's experience. A friend and I went to Red Ginger for lunch yesterday. I'd not been there, but with his expressed preference for Thai and my reading of good reviews it seemed like a nice bet. We headed a bit out of our usual downtown Salem lunching grounds. Upon entering, we see a board with specials listed on it. Pricey, with entrees in the $10-15 range. Sounded like dinner to me, but I wasn't sure. The board is right there inside of the door and is the first (and only) information you see upon entering. I wanted Thai and didn't care, though. Imagine our surprise when we were seated and given full menus topped with a lunch menu offering many scrumptious options for $7 each. Wow! I was damn pleased with our service, the simple fresh goodness of our meals, and the ambiance. Especially the ambiance. So much of Salem's dining sector seems to skimp on the decor and the feel, as if to say, "We know there's nothing better, so we don't care. Live with it." Frankly... I can cook my own food. When I go out, I want an experience. But I'm getting off track. During our meal, I noticed a man walk up the sidewalk, come in the door, look at the posted menu board, and then walk out. Given that at noon the lunch rush consisted of one two top and one other diner in a restaurant that was the bomb--from my first impression anyway--I was worried. This spawned discussion with my friend. We suggested to the server that they might want to rethink their lack of touting their fantastic lunch specials, and the first impression the misplaced dinner specials board was giving people. At first she tried to correct us... we were mistaken, and the board was for dinner specials, not lunch. It took us a time or two to get across to her that we were trying to impart to her what others were seeing, and that iw as a problem with presentation and perception, and it might help encourage business if they looked at what they were presenting from the eyes of a new, potential customer. It finally clicked in her head and she thanked us and said she'd pass it on. I hope so, for Red Ginger served us very well for lunch, and I'd love to take friends there for dinner. They need to kick it up and stay around! We had a horrible experience in Portland today due to the owners (who were the only front staff) directing all of their attention to a visitor who was not a customer. Service was painfully slow and we could see the reason the entire time. To top if off, we were charged for a glass of wine that was somehow lost between order and delivery. It was taken care of in the long run, but we won't be back. "So much of Salem's dining sector seems to skimp on the decor and the feel, as if to say, "We know there's nothing better, so we don't care. Live with it." 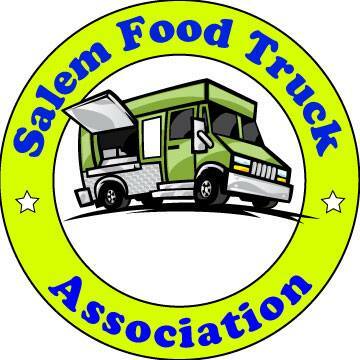 I think that attitude with Salem restaurants is what drives me absolutely batty, and why I dislike dining out in Salem. The food's great in some restaurants but because the ambiance is so much of the total dining experience, I usually walk away feeling like something is missing. Ambiance is sooo important to me! I'm not a foodie at heart, so a great experience is what makes a restaurant for me. Thumbs up to Wild Pear, Word of Mouth, and even Sushi Kyo for giving a priority to their ambiance. Where is Red Ginger? The way I look at it, I can cook just as well if not better than most eateries. While I enjoy the convenience of eating out, it really is something that, functionally, I can give or take. So, it better be a nice, all around sensual experience. Sights, smells, and sounds are just as important at an eatery as the tastes in my opinion. The problem that I see specifically with Red Ginger is that there is experience in the kitchen but there is no experience managing the dining room and overall marketing of this restaurant. Its in a perfect prime location, great food, great ambiance, but unexperienced management of the overall restaurant. Just my take from a guy who lives in the neigborhood and has been several times. My name is Elaine, I'm the floor manager/head waitress for Red Ginger Restaurant in Keizer. I just wanted to extend my thanks for all the good comments and constructive feedback people have left here. It's my personal goal to listen to everything our customers have to say and provide a unique and satisfying dining experience for everyone who visits us. We have made the changes suggested by Lavachickie and created a new Lunch Special menu to display in the front during our Lunch hours. Thank you! It's feedback like this that will help us create a quality restaurant that will be in the Salem/Keizer area for years to come. Please contact me directly at Elaine.RedGinger@gmail.com if you have any other feedback you'd like to share with us. If you've never been in, then I extend an invitation to you to come and dine with us, we would love to have you. We as much local and organic products as we can, no MSG, and vegans and vegetarians are very welcome. If you've visited us in the past, we thank you for supporting our restauraunt and we hope to see you again soon. Elaine, you are a business person with class. The way you presented yourself on here (alone) makes me want to dine at RG not to mention all that I have already read about the restaurant. Kudos to you for having the smarts to be open and to take constructive criticism well. With valuable employees such as you coupled with the other attributes the restaurant has, your establishment will definitely prosper in the years to come. I'll be trying RG in the future!